The Cloud Developer course is designed for application developers who are designing and developing applications for cloud environments. This training is delivered as a 3-day classroom or virtual classroom program. The training covers best practices on application design for cloud environments and supports many vendor technology solutions, covering Open Source and major Vendor Standards. The principles covered in the course apply to the entire application lifecycle, and are relevant to any technology or platform. The course material includes various reference materials that help to continue participants’ educational experience when they are back at work after completion of the course. 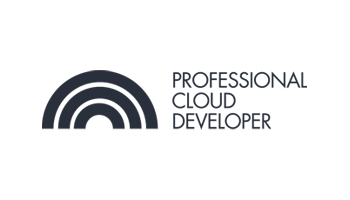 The course prepares candidates for the Professional Cloud Developer Certification (PCD) Exam provided by the Cloud Credential Council. The PCD is endorsed, recognized and supported by several key technology vendors and standards bodies. The content for this course, as well as the PCD certification is based on the cloud standards developed by NIST. Copyright © 2018 Cloud Credential Council. All rights reserved.